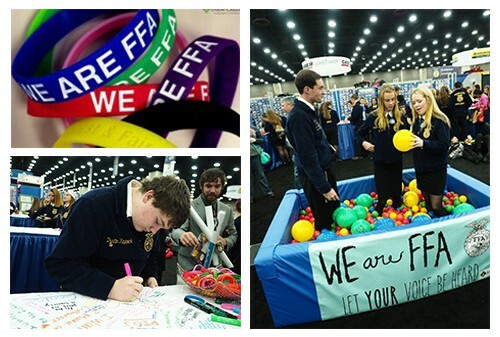 The We Are FFA platform was created to promote the appreciation of diversity through inclusiveness. We encourage members to celebrate diversity while becoming multiculturally aware through inclusive activities. We believe as different as we are, we all desire the same. We all want a sense of belonging. Our vision is to further develop an inclusive organization where every person is respected, connected and affirmed. Our opportunity is to deliver national programs and provide resources that serve as a model in removing barriers and creating opportunities for success for every student, in every classroom, every day. As different as we are, we all desire the same. No matter who we choose to love, how big our bank account, how light or dark our skin, who we vote for, how old or young, where we grew up, how strong our accent or what language we speak, we have a need for the same thing. We all want a sense of belonging. We all want a place where we are respected, connected and affirmed. To build an empowered community and more inclusive organization where every person is respected, connected and affirmed. Deliver national programs and provide resources that serve as a model in removing barriers and creating opportunities for success for every student, every day, in every classroom. 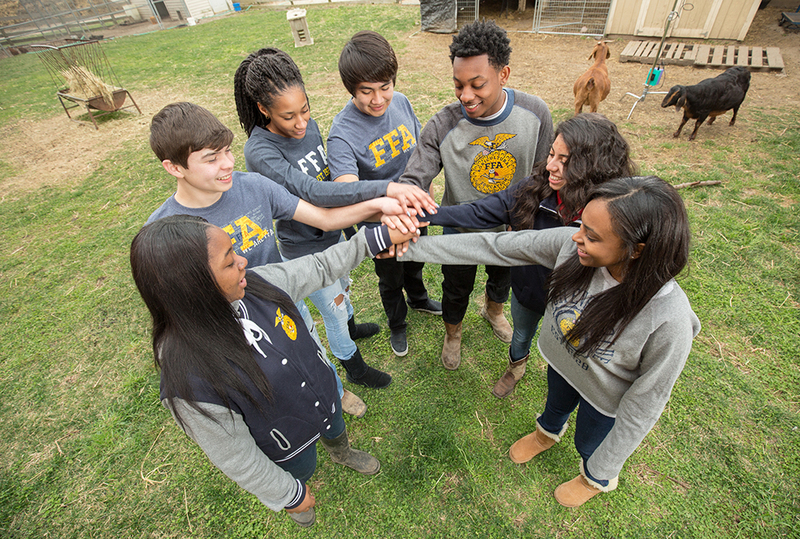 We Are FFA is the National FFA Organization’s platform to promote the appreciation of diversity through inclusiveness. We encourage members to celebrate diversity while becoming multiculturally aware through inclusive activities. 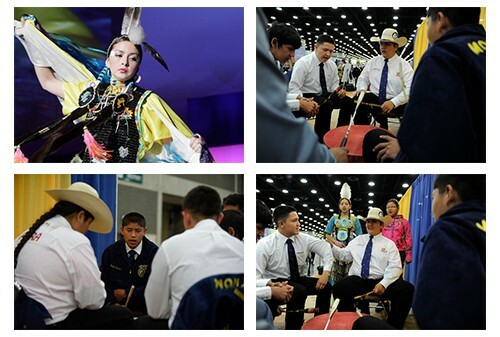 The 2011 National FFA Convention featured a celebration of our Native American heritage. The celebration paid tribute to the rich ancestry and traditions of Native Americans, especially those in FFA, agriculture and agricultural education. The celebration featured displays of Native American culture on the national convention’s main stage. It also included a roundtable discussion for FFA members, advisors and staff and members of the Native American community, including Janie Simms Hipp, senior tribal advisor to the U.S. Secretary of Agriculture and the director of the U.S. Department of Agriculture (USDA) Office of Tribal Relations. 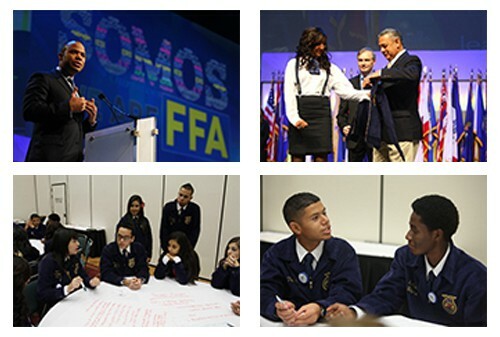 At the 2012 National FFA Convention & Expo we celebrated Somos FFA, a recognition of Hispanic and Latino members past, present and future. There was a main-stage jacket ceremony where the FFA Creed was recited in Spanish. Members, advisors, parents and business and industry representatives hosted a round-table to discuss involvement in FFA, barriers and opportunities. Somos FFA, We are FFA! 2010 marked the 75th anniversary of the founding of New Farmers of America. On Oct. 20, during the 83rd National FFA Convention in Indianapolis, Ind., former NFA president A.D. Pinson and 10 former members of NFA were honored with commemorative bricks, which were engraved with their names and placed in the courtyard of the National FFA Center. 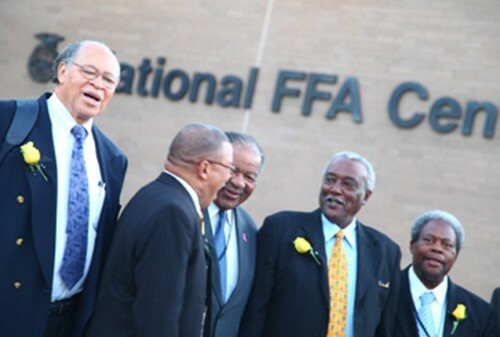 With a gospel choir, several dozen guests and a southern-style breakfast, the men were honored as vital links between a divided past and the diverse future of FFA. In 2015 we celebrated the 50th anniversary of the merging of the New Farmers of America and the Future Farmers of America. 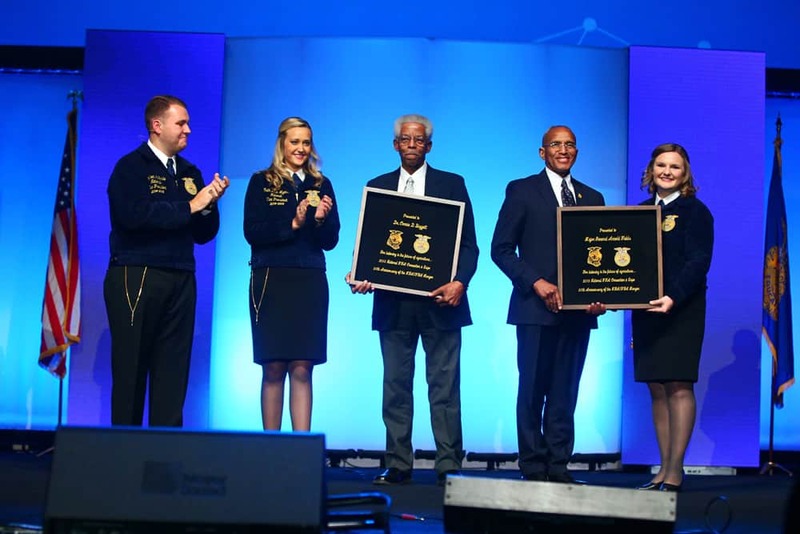 On Oct. 31, during the 88th National FFA Convention & Expo in Louisville, Dr. Connie Baggett and Retired Major General Arnold Fields helped honor the merger by sharing stories and music of their experiences with the organizations. 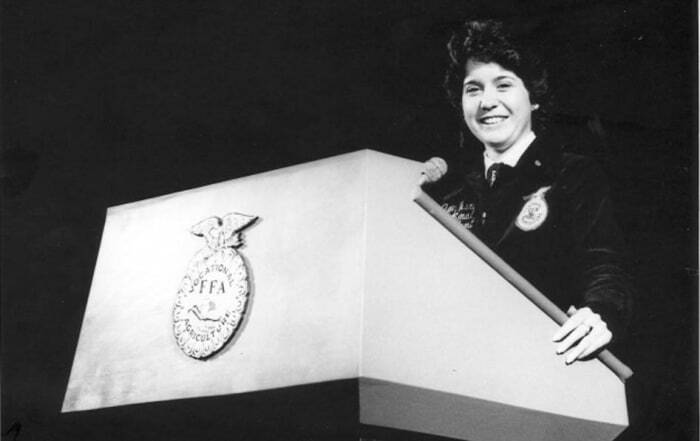 This merger solidified the inclusiveness of the NFA and FFA in 1965. 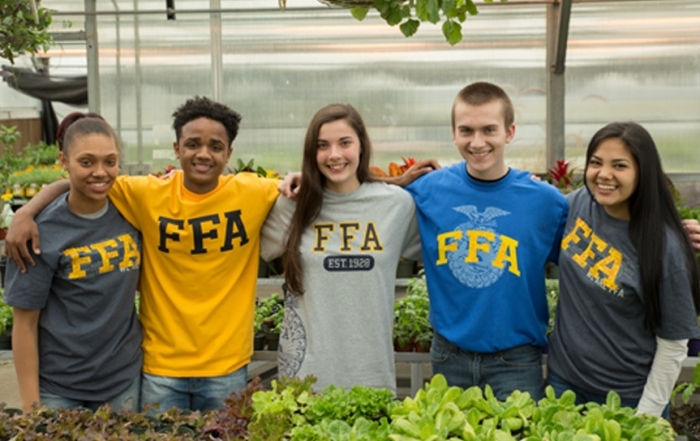 FFA aims to increase diversity across the organization and continues to encourage inclusivity in agriculture. 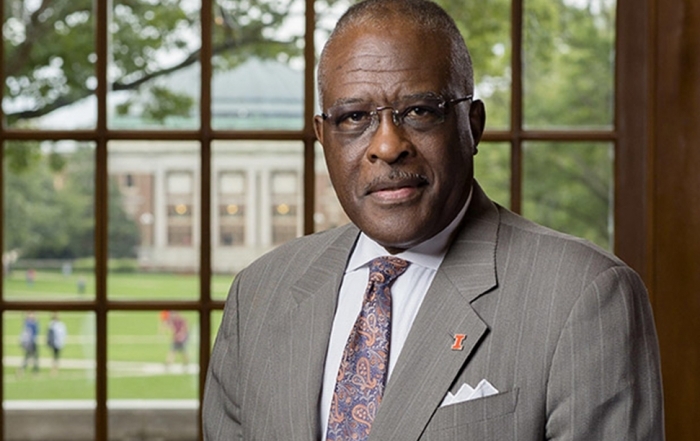 The chancellor of the University of Illinois at Champaign-Urbana started on a sharecrop farm in the segregated South of the 1950s. An FFA background launched his incredible journey. Female leaders in agriculture share stories and advice for future leaders. 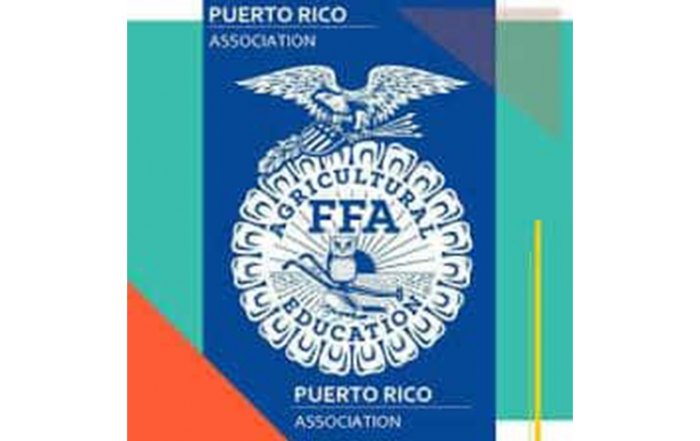 FFA convention provides needed respite from hurricane clean up.